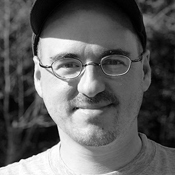 Mark Menard is the founder and president of Enable Labs in Troy, specializing in custom software development. Today software patents threaten the growth and dissemination of basic ideas. Our political and judicial establishment seems incapable of fixing the issue. Today non-practicing entities, also known as patent trolls, have turned the patent system on its head subverting it from its original purpose of advancing the useful arts and sciences. There are solutions to the problem though.